Uncategorized | CS Packaging, Inc.
How Does an Air Cushion Packaging System Work? Avoid the void. That’s the byword for anyone who ships products that might be damaged in transit. When you think about it, the humble corrugated cardboard box is a miracle of engineering. The simple yet amazingly durable carton carries countless products to their destinations — and corrugated boxes just keep getting better. Part of the credit for this improvement goes to recent advances in methods for testing their strength. The introduction of the Edge Crush Test (ECT) has opened the door to boxes that are just as strong, but weigh less — thus don’t use as much material and energy to make. Until recently, the only method available for measuring the strength of corrugated was the Bursting Test, also known as the Mullen Test. The Bursting Test, which is still used, is a good way to determine how well a box will withstand rough handling. The results are noted in pounds. So a carton that can take 125 pounds of force before it ruptures has a rating of 125#. The ECT uses another tactic. Instead of beating the box up, it exerts increasing pressure until the carton gives in. A piece of the corrugated material that makes up the box is placed on edge. Then two plates, one on each side of the piece, press together, crushing the corrugated material between them. The pressing process establishes a peak load that the material can handle, measured in pounds per lineal inch of load-bearing edge (lb./in.). This final value is stated as an ECT rating. For example, a 125# Bursting Test would be generally equivalent to a 23 ECT. 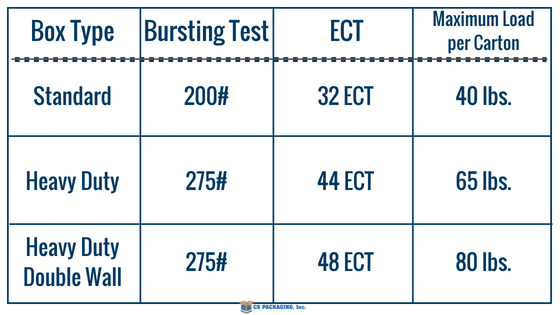 If you can draw an equivalency between the Bursting Test and the ECT, why have two tests? If one works as well as the other, what’s the point? Simply put, the Bursting Test gives a specific rating based on the weight of the materials used to make the box. The ECT offers an “equivalent” rating, depending on the nature, rather than the weight, of the materials that make up the corrugated product. 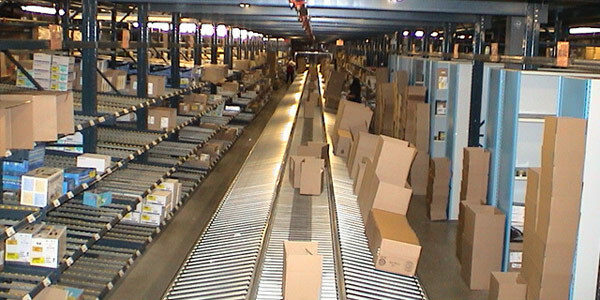 Box manufacturers have different methods for making corrugated cartons, and the formula used can affect how much bouncing about a box can withstand. So, if you suspect your carton will be tossed around like a suitcase in the hands of airport baggage handlers, it’s probably best to go with the rating established by the Bursting Test or opt for a higher ECT rating. On the other hand, under normal conditions, you might want to select the “equivalent” ECT-rated box. It could give you the strength you need while using less material, reducing weight and saving energy. It might also contain recycled materials, thus further reducing waste. Who knew choosing a cardboard box could be so complicated? It’s not, really. Packaging experts can help make the process quick and simple — even walking you through any Edge Crush Test details. It’s worth taking a little time to find out how to save more time and money by changing how you’ve thought about shipping supplies and learning more about your options. Safe, reliable delivery starts with careful preparation. When sending a package, follow these guidelines to get your shipment off to a good start. Choose a box with enough room for cushioning material to be placed around the contents. If you’re reusing a box make sure to cover up or black out any old labels or markings! Place enough cushioning around your items. Close and lightly shake the box to see whether there is enough padding. Add more newspaper, packing foam, or plastic cushioning material if you hear contents moving around. Tape your box shut and reinforce the seams with 2″ wide tape. Use clear or brown packaging tape, reinforced packing tape or paper tape. DO NOT use cord, string or twine because it gets caught when in transit or when being put through processing equipment. If you’re planning to use Priority Mail Express or Priority Mail services for faster delivery, length + girth (distance around the thickest part of the package) can’t exceed 108″. When using standard post, available at local Post Office locations, the total length + girth can’t exceed 130″. Using a complete and correct address is critical for efficient delivery. For some items, if the package weighs less than 13 oz, you can leave it in a blue collection box or hand it to your mail carrier. More than 13 oz? Drop it off at your local Post Office location. Calculate your shipping costs ahead of time from USPS, FedEx, or UPS. Don’t forget to browse our online catalog. 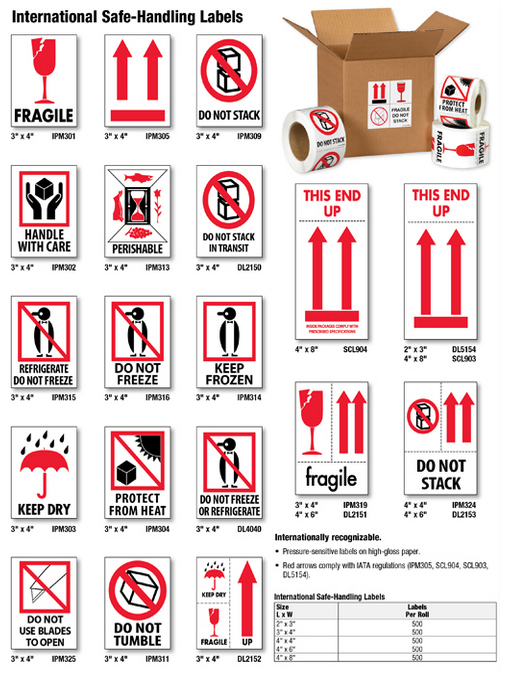 We offer various shipping & packaging items, you won’t need to go anywhere else. Not sure which of our products is best for you? Get in touch with one of our experienced and certified representatives. We can also talk about custom shipping and packaging items that might be perfect for your needs. “No one likes to talk about packaging,” Bob Janik, President of CS Packaging will say to anyone who asks him about his industry. Why? Well, it’s just not exciting for most people and tends to be a hassle to deal with. But, when you partner with the right packaging distribution company, the hassle is eliminated — according to Rich Vitek, General Manager of Dart Warehouse Corporation. Not to mention, you want to talk about it and share your experience with others. Rich has been with Dart for 35 years working with distribution, warehousing, and direct to customer fulfillment. For 10 of those years, Rich has been working with CS Packaging. The difference between the decade with CS Packaging and the 25 years without are night and day for Rich. There’s nothing predictable about packaging and shipping supply needs when it comes to the distribution and warehousing business. The range of items that Rich’s customers need, can be just as inconsistent and seemingly random as the frequency in which he needs them. Unfortunately for Rich, he saw this inconsistency translate to the level of service that previous vendors were providing. For Dart, not knowing if they could count on getting the supplies that they needed for their customers in time was a huge liability. CS Packaging was referred to Rich by another vendor that both companies mutually worked with. Once Dart worked with CS Packaging for the first time, they never went back to another vendor for needs CS Packaging could provide. Rich works directly with CS Packaging’s President, Bob, and cites his dedication to customer service as being one of the reasons that his experience with the company is so great. Bob Janik and CS Packaging were recommended to Rich, and it changed the way that Dart does business for the better. AIR CUSHION AND AIR PILLOW PACKAGING: IS IT RIGHT FOR YOU? As online buying becomes more and more popular, the solutions for protecting the contents in transit must also evolve. After all, if online orders aren’t able to be shipped so that products turn up at their final destination safely and securely, the e-Commerce market as a whole would collapse. Protective packaging isn’t a huge issue with soft goods, but it is important when you’re dealing with the shipment of fragile items such as cellular phones, video game consoles, laptops, glass products, and more. And while e-Commerce is a big market for protective packaging solutions, these solutions are also crucial for CPGs, manufacturers, and other companies who rely on shipping to get products to stores. There are many types of existing protective packaging solutions currently in use, such as foam cushioning, retention inserts and suspension, pulp trays, and partitions. However, one solution that also shows great potential when it comes to the e-Commerce market is air cushion packaging. This post will take a closer look at air cushion packaging and why it may be the right solution for your application. What is Air Cushion Packaging? 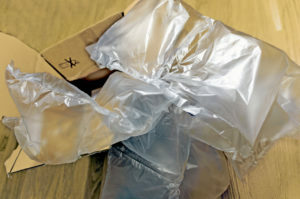 Specifically, air cushion packaging uses an inflatable cushioning system within a box to protect a package’s contents from damage during shipment. Solutions such as the ChamberPak Inflatable Cushioning System consist of inflatable, adjoining tubes that hold a fragile item. If one of the tubes pops, the other tubes will remain intact, thereby continuing to protect and secure the item in transit. While the ChamberPak system involves tubes, other types of cushion packaging involve pillow-shaped cushions. Since air cushion packaging helps protect the item from the four walls of a corrugated box and then both from the top and bottom of the box, it’s a highly effective solution. It’s quick and easy to assemble. It doesn’t just protect products from impact, but from shifting around within the box as well. Some types are recyclable and/or reusable. They can be used to complement other types of protective packaging. They can be custom made. The alternative to this type of protective packaging is what’s known as “peanut packaging.” This protective solution basically consists of hundreds – perhaps even thousands, depending on the size of the box – of peanut-sized foam or paper inserts that are designed to pack a product. However, peanut packaging is a loose fill type of solution that’s not able to as tightly secure boxed contents as air cushion packaging. Air cushion packaging, or air pillow packaging as it’s also often called, is versatile and flexible. It can be made to fit any sized box, so it can effectively be administered to protect any sort of product. As we noted in the opening, however, there are some applications that it’s better intended for than others. These products mainly consist of smaller fragile electronics, such as laptops, Blu-ray players, cellular phones, video game consoles and more. While this type of packaging can be used for larger items like television sets, said items are usually better suited for suspension and retention types of packaging. In addition to electronics, delicate items made of glass and ceramic are also ideal applications for air cushion packaging. Like we previously noted, air cushion packaging is one of the more affordable types of protective packaging. Much of this has to do with how it uses packaging film to form the air pillows, as this is generally a more affordable solution to corrugated and other types of protective inserts. Prices, however, do vary based on quantity, the size of the tubes or pillows, and other considerations. Contact your packaging supplier today for a more comprehensive discussion about the application you need protected and cost estimates to do so. Protective packaging is continuing to evolve at a rapid pace, largely due to the popularity of online shopping. Is air cushion packaging the right solution for you?